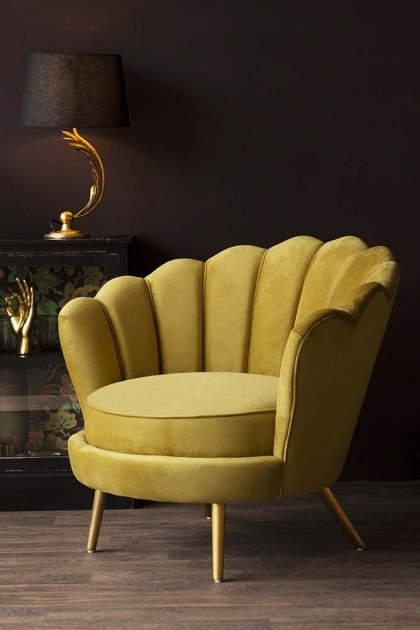 An exquisite piece, this mustard toned statement armchair will stop you in your tracks. 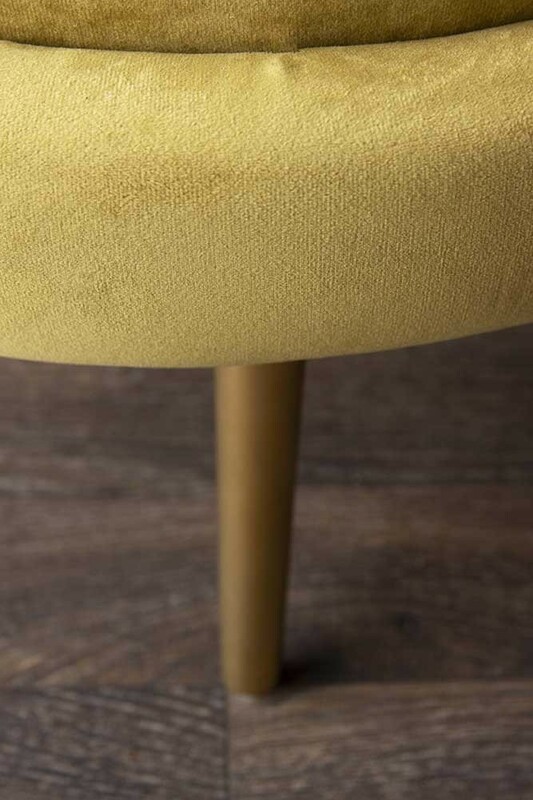 Featuring a scalloped, oyster shell shaped back the stylish Ochre Gold Velvet Occasional Chair is upholstered in a luxury ochre with luxe gold legs. 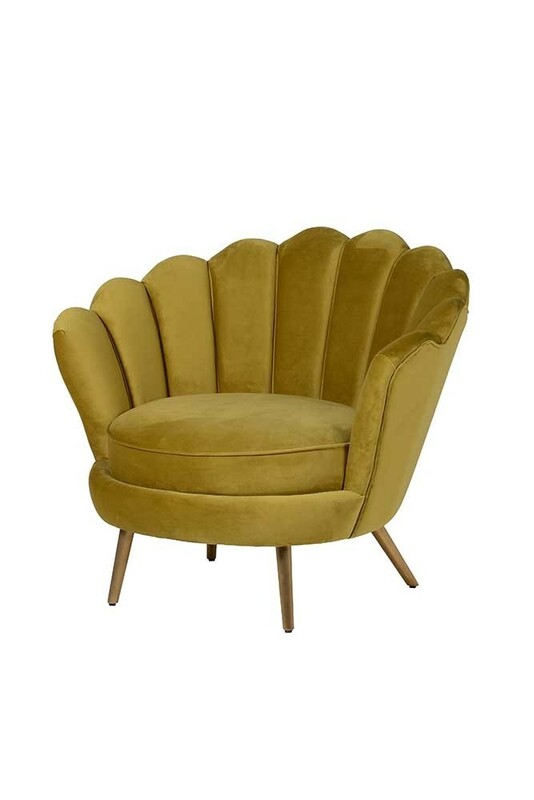 The very epitome of a statement armchair the Mustard Yellow Velvet Petal Armchair measures 75cm in height x 87cm in width x 80cm in diameter. If you want your home interiors to stand out from the rest then this is the occasional chair for you. Utterly unique the rounded petal or shell shape of the chair back is bang on trend, with curved furniture set to be huge this year. 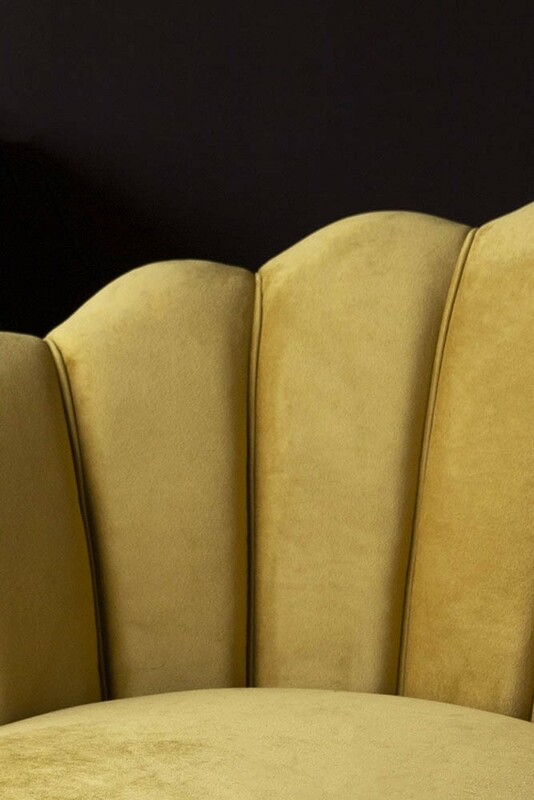 The gorgeous shape combined with the striking ochre gold velvet adds richness and depth to the armchair. It will look incredibly elegant against dark background such as our Briarwood Brown Wall Paint and fabulously maximalist against vivid colours and wallpapers. 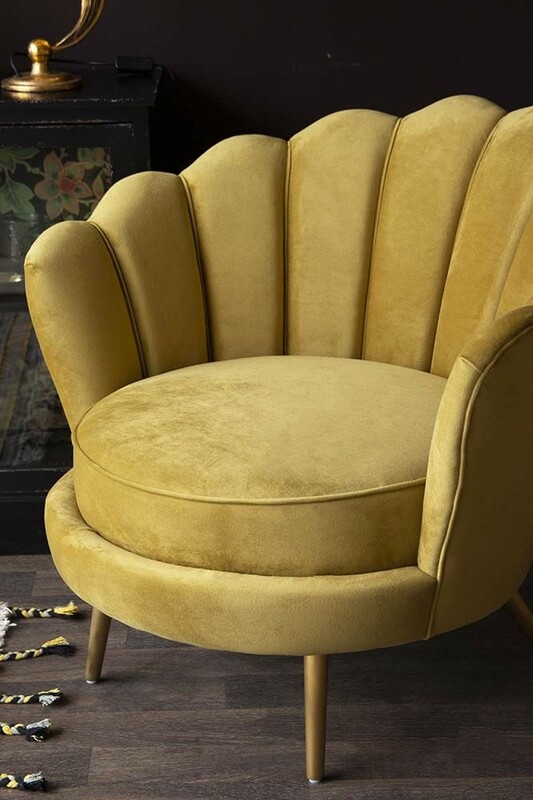 Incredibly comfortable, we think that the turmeric coloured Armchair would look fabulous no matter where you place it in the home. However, a piece like this that is oozing 1950’s glamour would deserves to be made a fuss of. So why not curate a style spot with this fabulous number?! Accessorise the scene with side tables, cocktail glasses, glam accessories and fabulous lighting and we guarantee that this setting will create wow-factor in your home.